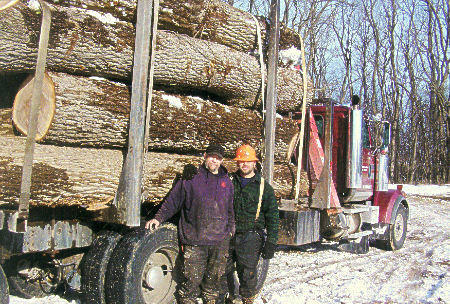 The Guldenschuh family has been managing local woodlots since 1976. Headed by Don Guldenschuh, he and his family take pride in providing sound forest management practices from start to finish. Don has been recognized on the state and national level for his outstanding practices and workmanship in the timber harvesting industry, winning the NYS Logger of the Year and Outstanding Logging Operator in the Northeast. Don's wife, Deb, heads the office and customer service. The family prides itself not only in the woods but at the mill to provide quality products and to treat their customers with respect. Don's son Garrett Guldenschuh has been buying timber for the company for the last 10 years. 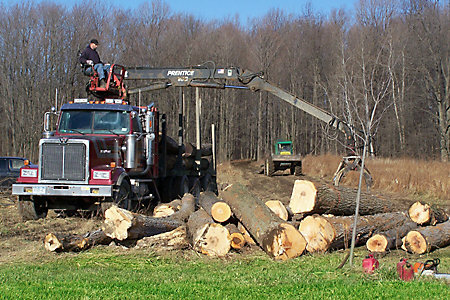 Don heads the logging crew, his son Garrett, and son-in-law Sam Jeffery work alongside him doing the harvesting. Carrie Jeffrey, Don's daughter, is the company forester and has been buying timber since she graduated with her forestry degree from Paul Smiths College back in 1996. Carrie also heads the forestry education and tour program that the company offers, going into schools and doing badge work for Boy Scouts and Girl Scouts at the mill and in the woods. Debbie Ortiz, Don's oldest, does the bookwork alongside her mom. Tony Ortiz drives truck and helps out in the mill when they are sawing. Long time key employees are just like family. Charlie Hyde has been the company truck driver for 20 years and performs multiple duties and does them well, he is a very valuable asset to the company.